Jannayak Janta Party's Digvijay Singh Chautala stood second with 37631 votes while Congress's RS Surjwala got 22740 votes, came third. 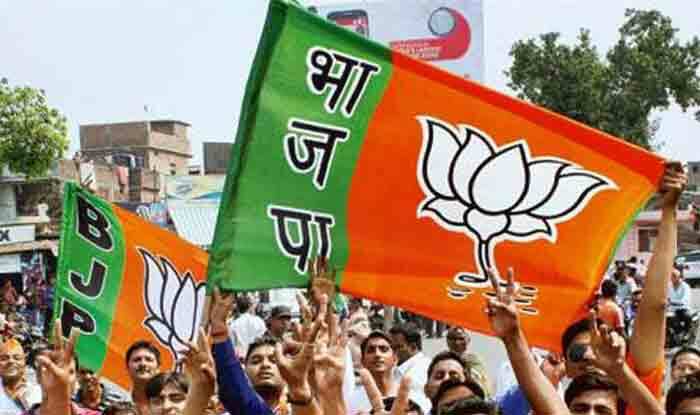 Chandigarh: Bharatiya Janata Party (BJP)’s Krishan Lal Middha on Thursday won Haryana’s Jind assembly bypoll with a margin of 12935 votes, collecting a total of 50566 votes. Jannayak Janta Party’s Digvijay Singh Chautala stood second with 37631 votes while Congress’s Randeep Singh Surjewala got 22740 votes, came third. Speaking to news agency ANI, BJP’s KL Middha thanked all those who supported and voted for him making the party’s victory possible. “I would like to thank everyone who supported the party and me. It’s their victory. There were big leaders in the contest as well, but we have defeated them too. We will follow the schemes launched by PM and take them forward,” the BJP leader said. Further, reacting to the BJP’s win, JJP’s Digvijay Chautala said that several faults were detected in the EVMs. “There were several faults detected in EVMs, we will take up that issue in the internal party meeting first&then it will be briefed before media,” Chautala said. Further, the JJP leader congratulated the BJP for their victory. The counting of votes of the by-election to the Jind assembly constituency, held on January 28, took place today amid heightened security. According to Returning Officer Sub Divisional Magistrate Virender Sehrawat, 14 tables were set up and counting on each table was carried out by a supervisor and a counting assistant. Notably, the four major contenders for Jind by-poll included, the ruling BJP, the Congress, the Indian National Lok Dal (INLD) and the Jannayak Janata Party (JJP). The Jind by-election was necessitated after the death of two-time INLD legislator Hari Chand Middha, whose son is in the fray on BJP ticket. The four main candidates were Randeep Singh Surjewala (Congress), Krishan Middha (BJP), Umed Singh (INLD) and Digvijay Chautala (JJP). This by-election is being seen as a referendum on the over four years of the BJP government in Haryana.